By Erin Bender | January 24, 2019 | This post may contain affiliate links, which means we may receive a small commission, at no cost to you, if you make a purchase through a link. Read our Disclosure. Noodles for breakfast, sailing pirate ships at lunch and putting out fires for dinner. What kid would not want to spend their holidays in Southeast Asia? For Australians, a visit to Southeast Asia is convenient. The region is close, the exchange rate generally works in our favour and the locals love kids. But with such a wide range of cultures and a plethora of countries to visit how do you decide which one is going to be best for your family? Here are 4 countries with fun attractions that we think have something for everyone in your family, especially the kids, because let’s face it, if they are happy then mum and dad are happy too. There is a very good reason Australians continue to flock to Bali each year and it’s not just for cheap beer. Bali has a huge number of things for families to do, and sipping cocktails in the resort pool bar while the kids are in kids club is only one of them. The whole family will want to spend at least a day or two screaming on the thrilling waterslides or gently floating down the lazy river. And even younger kids will have a ball with the smaller child-friendly slides. Something for the older kids. Hidden deep in the jungle north of Ubud, the whole family can take a fun quad bike tour through small villages and tropical rainforest. Then after lunch hop in an inflatable tube and drift down a scenic river bordered by a steep canyon with lush, cool, shady. The perfect combination of excitement and relaxation. This is actually 4 parks in one, so enjoy seeing the animals in the Marine park and the Safari park before heading over to the small water park and rides in the amusement park. Next stop Singapore. 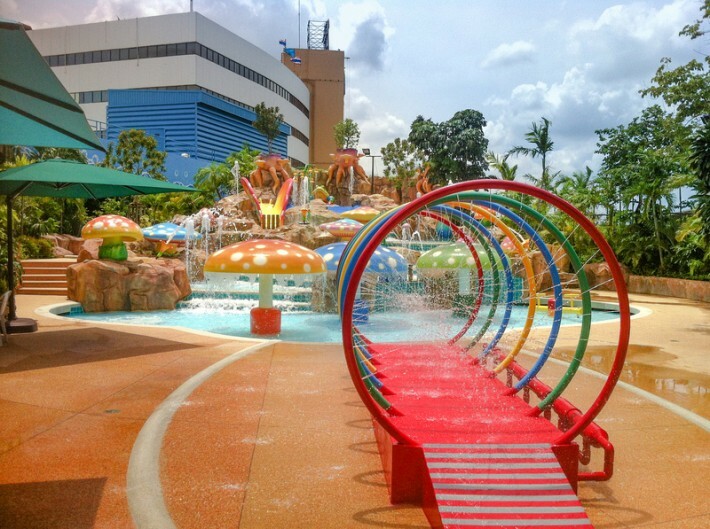 Singapore is immaculately clean, safe and very child- friendly. Be prepared to spend a little bit more money in this country, but it will be well worth it. 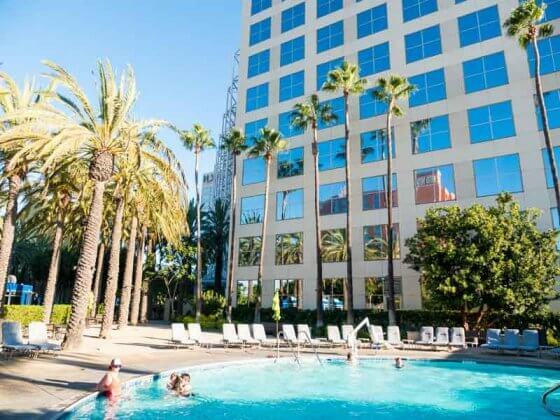 Kids of all ages will want to stay the whole day. You will be enamored with the number of rides on offer, food to try and shows to see. Not to mention the excitement the little ones will have when meeting characters from their favorite movies. 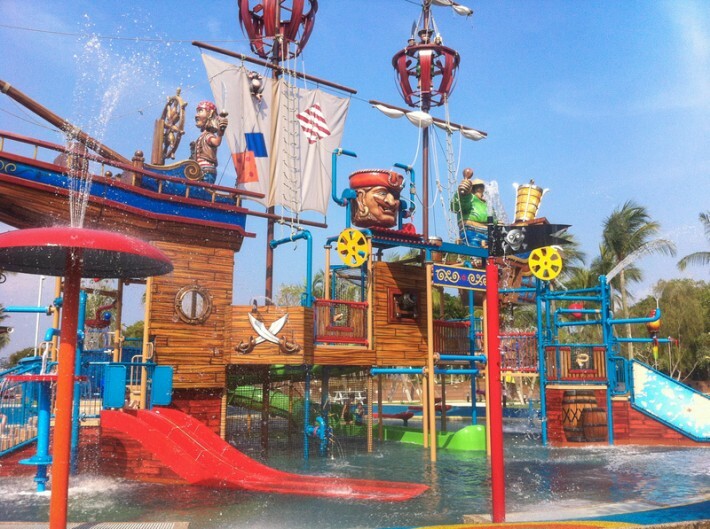 A beachside pirate ship with water guns, slides and tipping buckets, makes this a great day out for the younger members of the family. But parents don’t disappear, there’s free Wi-Fi at the Port of Lost Wonder too! This is one of the best zoos in the world and definitely worth a visit. Bring your swimmers, as there is a kids water park half way through, which is a huge relief on a hot tropical day. Stay until the evening and walk to the nearby Night Safari to see nocturnal animals in action and fire-breathing dancers. Most parents think of Kuala Lumpur as a teeming metropolitan with nothing to do but shop and eat. But we guarantee there is a lot more to Kuala Lumpur then that. This is a little world built for kids. Your children will have a field day playing the part of any number of adult careers including fire fighters, dentists, pilots, chefs and more. Oh, and did I mention there is a parent retreat upstairs with free Wi-Fi. Right in the city center is a vast area that sets the benchmark for public playgrounds. Situated beside this is a public wading pool. And then just outside the nearby Suria Shopping Mall, you will find a beautiful fountain display. Head in one evening for a play, a swim and then oohs and ahhs at the evening fountain show. The mall also has plenty to do including a science museum, cinemas, and shopping. Amusement park, water park, resort. If you are looking for a special treat, stay at the resort and spend a few days enjoying this Asian wonderland. Here’s our wildcard. Why would anyone want to take their kids to the hectic city of Bangkok? Well, other than the great tasting food, memorable rides in fast-paced tuk-tuks and colossal shopping malls here are 3 other reasons. This was a complete surprise. A small waterpark located on the roof of a shopping mall. What makes this such a great day out was the superlow entry price of only AUD$7 each. Bargain! A well-maintained aquarium, again in the heart of a shopping mall. You can even ride a glass bottom boat over the shark tank or walk along the ocean floor. The range of marine life is massive, and the complex is very pram friendly. Not your typical Chinese restaurant. This restaurant holds the Guinness World Record for the largest restaurant with over 5000 seats. Plus your food could be delivered on roller skates or zipline. There’s even a show held every night on a stage propped above the water. Hopefully, these 4 locations have whet your appetite because there is a whole lot more countries out there offering family friendly holidays. For your next family holiday think outside the box and discover Southeast Asia. You will not only find so much variety and entertainment, but you will probably end up saving money as well. Erin is a thrill seeker who has explored the world for the last five years non-stop with her two kids. But what happens when you stop nomadic travel? How does an abnormal family fit into a normal world? Whether you are planning on taking off or staying home Erin can help you find your feet. You can connect with her travel blog, follow her on Facebook, or see more beautiful images on Pinterest. I think Asia is one giant playground for kids! So much to do, so much fun to be had and so many beautiful gentle people who will genuinely go out of their way to be hospitable and helpful. 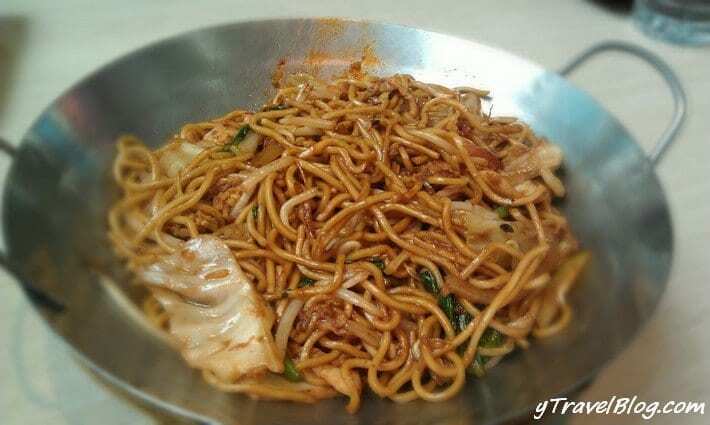 I love Asia! Perfect spot for holidays with kids! Totally agree! The people really make it special! I hope you could also visit Manila. You can go to Manila Ocean Park or The Mind Museum at Taguig. There are nearby places like Tagaytay or Subic. Tagaytay has Residence Inn and a new theme park. Subic has a safari and zipline adventures. We spent a month in Manila, it certainly had some great qualities. Corregidor was a favourite, as well as Museo Pambata and Rizal Park. I think you can have a great trip anywhere you go on holiday. Every country has unique places and attractions that you can enjoy and have fun. I didn’t expected Asia to have such impressive things. What is your favorite place to do? Favourite is a hard one and we’d probably need to ask the kids! But you are right, every place is special and unique. There is so much more to love about SE Asia, but thanks for featuring our favourites ! 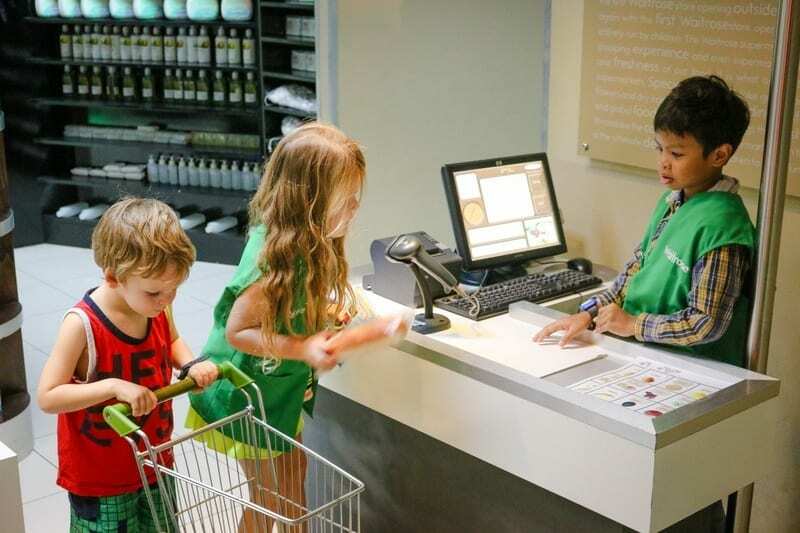 Oh my gosh, the place in KL where kids get to play at certain careers sounds so cute! How adorable! Kidzania is amazing. We went to the one in Dubai and there is one in Bangkok as well. Australia should totally get one! Thanks Erin for sharing this awesome post. Now I’m aware about lots of great destination in south east Asia. Pleasure, so glad you read and good luck on your next holiday! Wow, I love this article. I’ve been to different parts of Asia but not rediscovering it with my 4-year-old. I never knew there were so many cool places to visit. I super love that pirate ship one in Singapore. When your kid is too young for Universal Studios, I think that would be a better option. Thanks for the tips! Loved your article, short and simple. Would you be willing to collaborate with a website that I am working with? 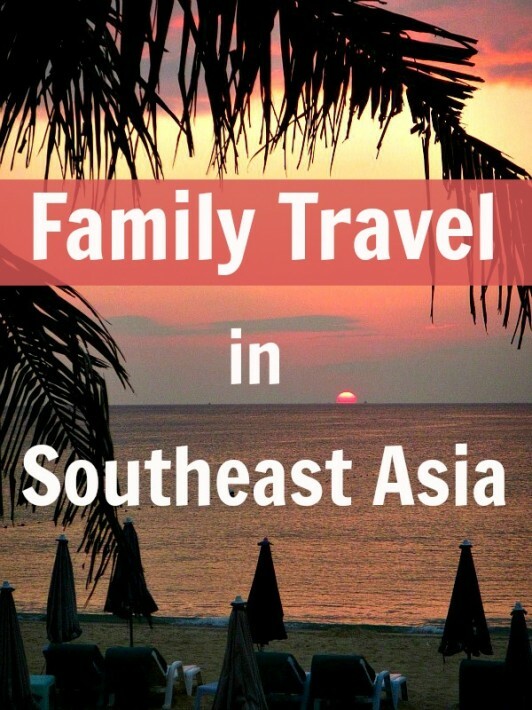 It specialises in family travel throughout Asia.